The State of AP & Ors. Selection and appointment. 8TH CRP No.17 (AP) 2017 JANG LARGE SIZED MULTIPURPOSE COOPERATIVE SOCIETY LTD.
SRI K K YANGFO Other Civil Revisions. 11TH WP(C) No. 609 (AP) 2017 RUBHA CHAPO & Ors. The State of AP & Ors.. Other service matters. 11TH WP(C) No. 565 (AP) 2017 SHRI KIPA TAGAK & Ors. 11TH WP(C) No. 186 (AP) 2011 SHRI TAGUM TATAK & Ors. The State of AP & Ors. Salary and allowances. 29TH MAC. Appeal No. 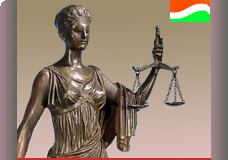 02 (AP) 2016 ORIENTAL INSURANCE COMPANY LTD.
SRI DINANATH BAGAT Appeals from motor accident claims tribunal.